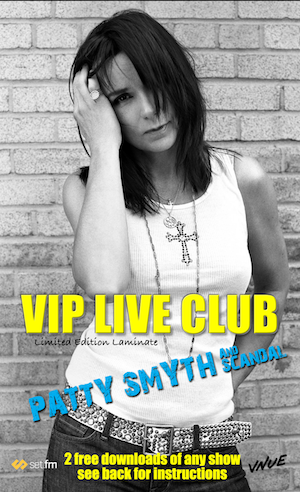 Patty Smyth and Scandal is touring spring and summer 2018, and DiscLive and partner set.fm are going to be there to capture every moment! Pre-order your collectible VIP "Live Club" laminate and "join the club." The laminates have scratch off codes which you may then use to download our exclusive content from set.fm! Pre-order now. Supplies limited.